Safe to say that any new book from Anna Walker is a treat. If you haven’t read the award winning, exquisitely illustrated Florette, or Go Go and the Silver Shoes, or, our favourite Mr Huff, then check them out in a bookshop or library. There’s a world of pleasure to be had in her detailed and dreamy, yet comforting and familiar drawings. Walker, who is one of Australia’s most celebrated illustrators and storytellers, is inspired by the little things in everyday life yet there is always a lot to find when you open one of her picture books – a party scene will have beautifully decorated cakes, party hats and streamers; bedrooms will have lots of familiar looking toys, books and there are always animals. You might also recognise her artwork from the 2018 Children’s Book Council Awards and Book Week – there’s barely an award for children’s books that doesn’t have Anna Walker’s name on it. 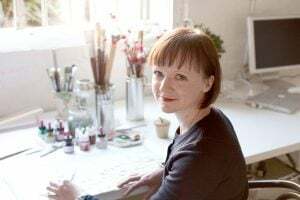 Typically, the artwork is accompanied by a simple story with an important message – it could be about dealing with a bad day or bad mood, the importance of having nature and plants in your world or be about friends and the joys of sharing. Her new offering Lottie and Walter is no exception. Along with glorious pictures of sea creatures and swimming pools, this story tackles Lottie’s fear of the water and what might be lurking beneath. Every Saturday Lottie has swimming lessons and every week she gets ready to jump in the water, but something stops her – she’s sure she can see something lurking beneath the surface. This foreboding feeling that a creature is going to eat her (not any of the other kids) keeps her from enjoying the lesson. However, when there is a pool party planned for the next lesson what will Lottie do? Could it be that things are not quite as bad as they appear? 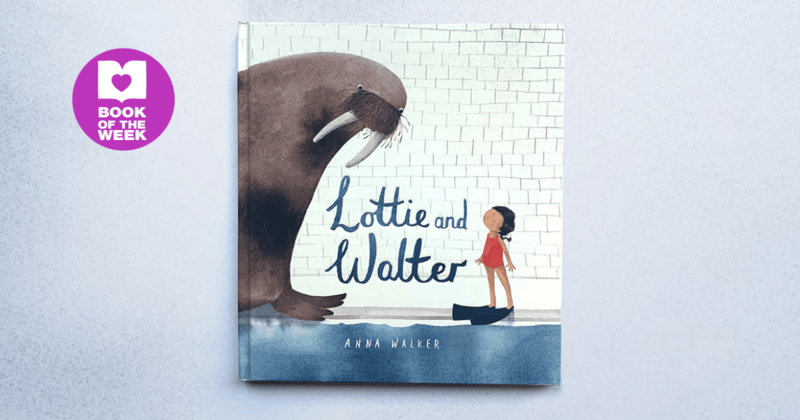 Set amongst terraces, leafy trees, underwater gardens and pool parties, Lottie and Walter deals with facing your fears in a way that all children will relate to and focuses on how no matter how bad a scary situation feels, it can be turned into a positive with a bit of help. Although it’s a picture book, older children will enjoy looking at the charming images in Lottie and Walter and if you’re looking for a gift then you couldn’t go wrong with this. Adults might also like to sneak off with a copy and a cup of tea to enjoy a moment of quiet with this beautiful book.